Back in May we deployed our first repurposed labs at Core Neighbourhood Youth Coop and White Buffalo Youth Lodge, to provide free public internet access for members of the community. The first labs were a bit of an experiment as to what the organizations needed. For the first twelve computers we installed Webconverger, a light-weight version of Linux that boots into a full screen Firefox web browser. From the organization’s perspective, the computers were worry-free; simply turn them on and they worked. However, the needs of White Buffalo Youth Lodge have evolved and they are now looking at teaching resume writing classes on the computers. Although Google Docs would probably serve the purpose, they would prefer a desktop word processor. So we went back to the drawing board, re-evaluating the various versions of Linux including Linux Mint, MijnPup, Puppy Linux and xPUD. For this iteration we chose Linutop OS, version of Ubuntu which comes with OpenOffice and VLC Media Player pre-installed. The good news is that Linutop also has a Kiosk mode similar to Webconverger. 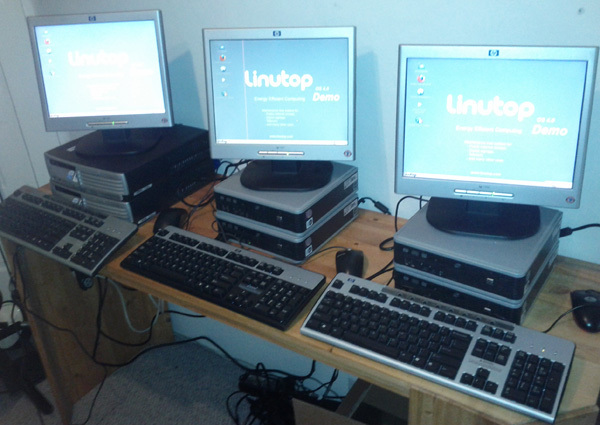 Here is a photo of six repurposed desktops about to get a Linutop makeover. 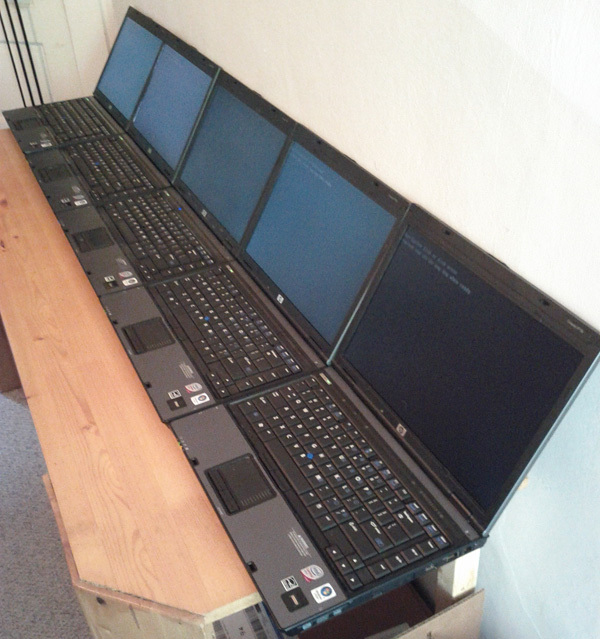 Here is a photo of some repurposed laptops waiting for surgery. Big thanks to MLT.com for donating this second batch of computers, they will be put to good use in the community.